Five years. Wow, that’s pretty big isn’t it? Seriously, when I started this thing, I never thought it would actually make it this long. Surely I’d have thrown in the towel by this point, wouldn’t I? Well, despite some serious pressure from some outside factors, I haven’t given up on this whole action figure thing, and at this point, I think I’m just too far in to ever really leave it behind. Last year, there were some sizable changes for the site. I brought on a new full time feature, The Blaster in Question, written by my friend Tim Marron, and I also got rid of that pesky “wordpress” section of my url. This year’s a little more low key, I suppose, at least from the reader’s perspective, but from a personal and professional side, I was quite happy to have formed a partnership with my friends over at All Time Toys. They’ve been nothing short of awesome, and I’m excited about working with them more as we move forward. That said, having a toy store on call for just about whatever I need is a slightly scary prospect. 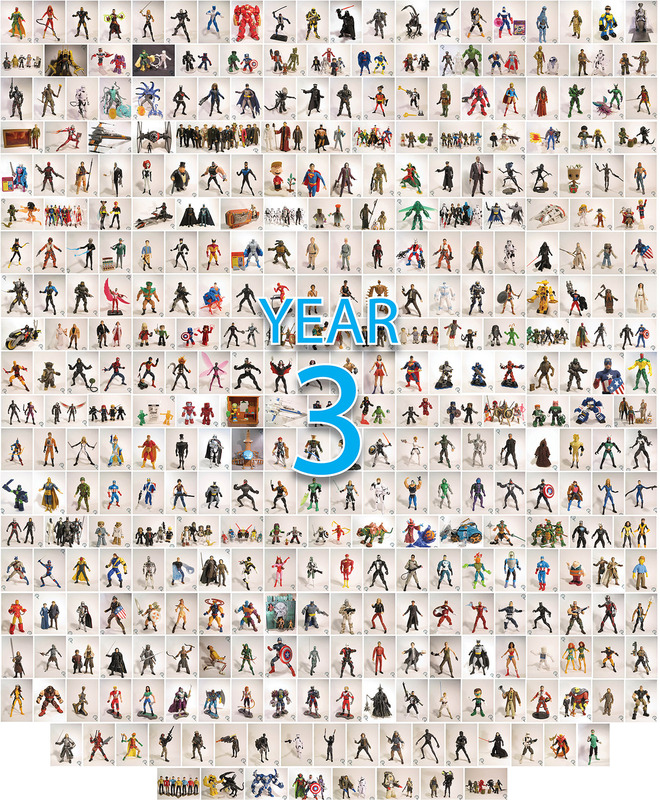 Over the course of the last 365—er, 359 days, I’ve written 244, 568 words about a total of 479 action figures, 11 vehicles, and two movies. I’m up a few review subjects from last year, and down a few words. Am I finally learning some brevity? Perhaps. This year, the site’s views climbed past 211,000 views, we gained a whopping 44 followers, bringing our total count up to 169! As always, thanks for joining us guys! In addition, there were 42 comments this year, excluding those made by yours truly. That’s a good number. Moving away from myself, this year saw three guest reviews, as well as 39 Blaster in Question reviews. Always nice to get somebody other than me rambling, right? I’d once again like to take a moment to acknowledge some of my favorite review subjects from the last year. It was definitely a high competition year, with a lot of really great stuff. Narrowing down this list was tough, but here’s my Top 5! I had no prior experience with 1000toys, but this guy really caught my eye, and oh boy was he a fun figure. What can I say? I’m a sucker for a cool robot. I look forward to getting more from these guys! 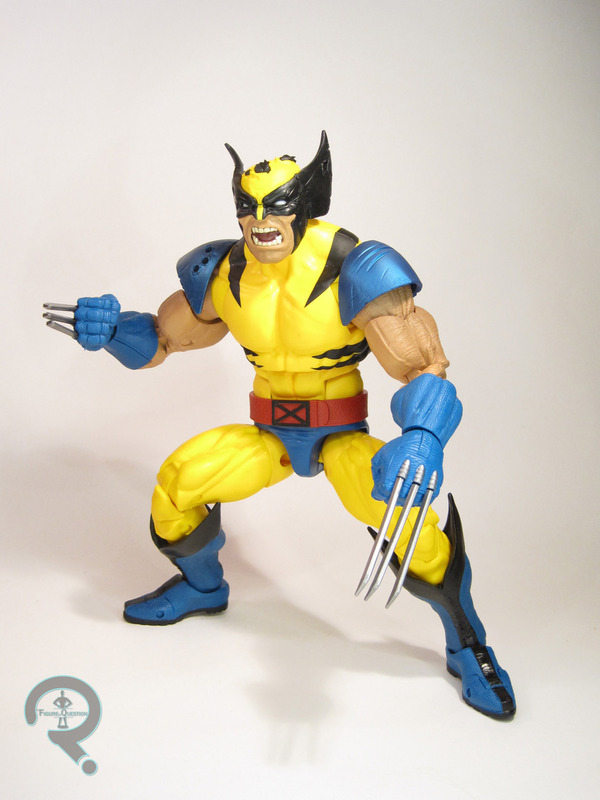 I’ve enjoyed the 12-inch Legends since the start, but Wolverine is hands down the best thing to have come out of the line, and one of the finest Legends offerings we’ve gotten from Hasbro, period. And this is coming from a guy who thinks Wolverine is overplayed. This guy rules! The faceprint tech that Hasbro’s introduced into their 6-inch lines is nothing short of phenomenal, and its showcased no better than with their Grand Off Tarkin release. 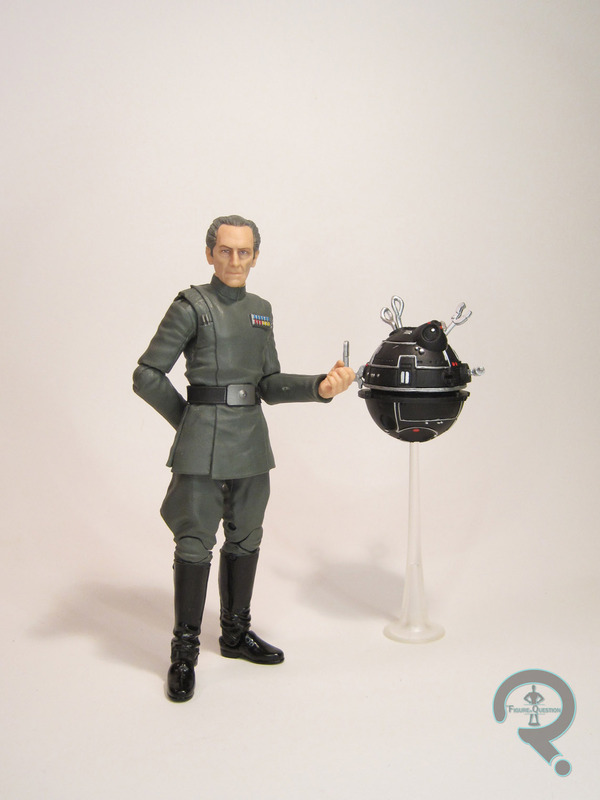 This guy looks so much like Peter Cushing that Lucas is undoubtedly campaigning to insert him into future releases of Rogue One. My partnership with All Time has of course had a huge impact on this site, and of all the cool items they’ve loaned me, this guy was hands down my favorite. He’s so much fun, and I still kind of kick myself for not getting one of my own back in the day. This last spot was the toughest of all, and I had several of this year’s Legends Build-A-Figures in it, but my favorite was definitely Sauron, who shows that Hasbro can produce unique sculpts that are every bit as good, if not better than, anything that Toy Biz put out during their tenure. Mego’s back! That was certainly pleasant turn of events, wasn’t it? Well, for me, anyway. 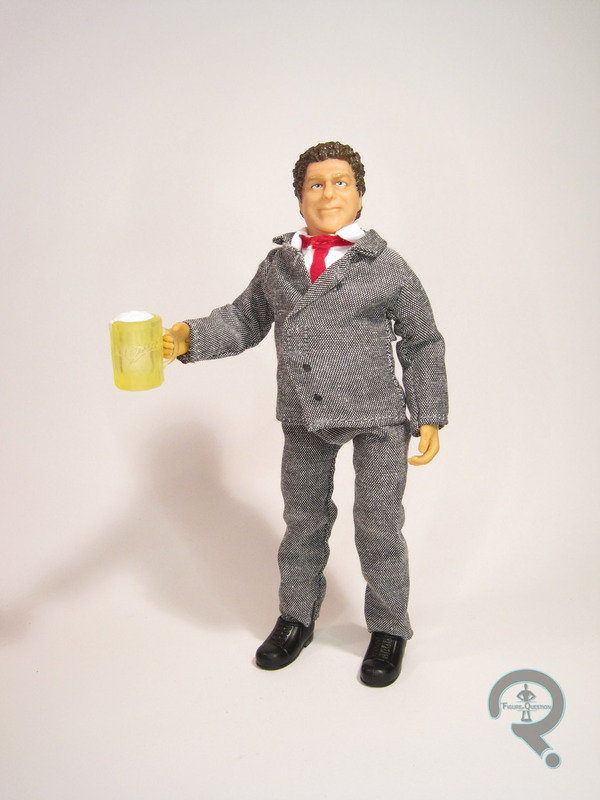 They were kind enough to send over a Fonzie for me to review, which was pretty awesome, but the figure that really got me on-board was Norm, who really seems to capture that old spirit the best. I hope they can make this new line work. Grueling as it may have been to write six reviews for a single day, I sure had a ton of fun working on this whole endeavor, and learning what I could about the history of the Viper mold. I also gained even more of an appreciation for that mold than I already had, and got to unleash a little bit of my zany side as I careened through the latter portions of that day’s reviews. It almost makes me want to try it again…almost. Thanks again to all my faithful readers who have stuck by me through all my crazy ramblings, and thanks to all of those who have joined me along the way. I couldn’t do this without you guys! Here’s to another five years! Tomorrow, Toys R Us officially closes its doors. Yesterday, my closest store had it’s final day of sale (my secondary store went the day prior). I’ve been stopping in on it routinely, ever since the announcement of the closures hit, observing it’s slow descent. Walking through the remnants of the store yesterday was certainly down-beat. However, this whole experience has been rather surreal for me, I think because it’s never really hit me quite the same way as other toy collectors. 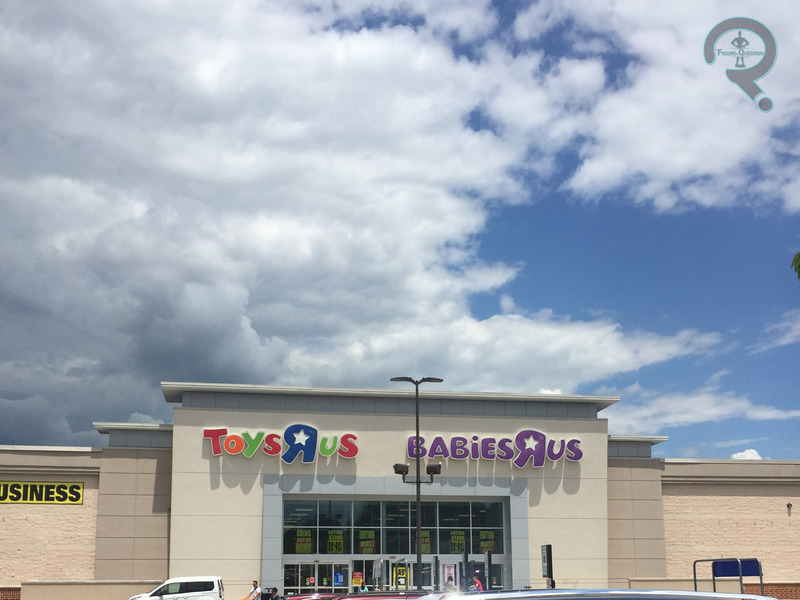 In part, I think it’s because the store I’ve been visiting the last few months was never really “my store.” My Toys R Us, located in Columbia, MD, closed in the summer of 2010, rather suddenly. I’d just graduated from high school, was holding down my first job, and was getting prepped for my first year of college, so I was a little pre-occupied. I don’t think I had much of a chance to take it in. It just happened. After that, I fell back into frequenting another store, in fact the one that my dad had frequented as a kid. I’d been there many times as well, and it was one of the oldest in the area, so I still had some very fond memories. Perhaps more fond memories, truth be told. When that store shut its doors the following summer, it was more cutting. Despite frequenting it a little less, there were more fond memories there, I guess. Later that fall, the store that I’ve been frequenting these last years opened. It was a little odd, since it was literally right across the street from the old Columbia location. Completely new stock, completely new employees, just completely new all over. It was a little weird, actually. It’s location was virtually the same as the old one, but there remained none of the sentimentality of the first. It still became my regular location to frequent, but it never matched either of the two locations I’d already lost. Perhaps I just had less time with it to become attached, but I think it wasn’t helped by the fact that Toys R Us on whole was not as strong a business by the time this new store came along. In general, my toy buying habits exist at an interesting cross-roads. There are many collectors out there with so many amazing stories about the great things they remember about Toys R Us. I don’t have those. Because, quite frankly, in my lifetime, Toys R Us has never been anything but a little disappointing. As a kid, I had a local Toys R Us, which I loved, because toys and all, but it was rarely the first place I stopped. My toy store of choice was KB Toys, who always seemed to have the better selection, the better atmosphere, and the better overall experience. I only went to Toys R Us if I had a gift card, or if they had an exclusive item. Otherwise, KB it was. When KB closed up shop, I was very sad, but I think that’s because they felt like a store cut down in their prime. Toys R Us, however has sadly been past their prime for decades at this point. Watching them close is a little bit like watching the death of a relative who hasn’t really been themselves in years. It’s sad, but there was never really much to save. Ultimately, I’m sorry for the employees who are now out of a job. I’m sorry for the toy companies that have lost a major buyer. Lastly, I’m sorry for the kids that will never get to experience Toys R Us. And I empathize with them, because I never really got to see it at its greatest. I equate my experiences with Toys R Us to watching the scene in the first Toy Story, where a distraught Buzz Lightyear tries flying for the first time. I wanted so badly to see them succeed, and they looked like they might make it so many times, but ultimately reality always set it, and they’d always come crashing back down to the ground. I’m sorry they never quite made it. Still, even as someone who was never quite a Toys R Us Kid, I bid you farewell, Geoffrey. Thanks for making my collection 550 figures stronger. *Also, I forgive you for that time your website totally stole one of my photos. It seems silly to harp on that now, doesn’t it? And here we are. Another year of reviews completed. I’ve been writing a lot recently of how the milestones are lessening the more of them I make it to, and I think that sort of holds true here. 365 reviews doesn’t hold as much weight the fourth time you do it, I guess. Still, a year’s a year, and it’s certainly nothing to sneeze at, right? So, first thing’s first, the biggest news of the day is the site’s new address. After four years, it’s safe to say this is a serious venture, and a proper domain was worth the investment. Welcome to TheFigureInQuestion.com. Now let’s get to the crazy numbers! 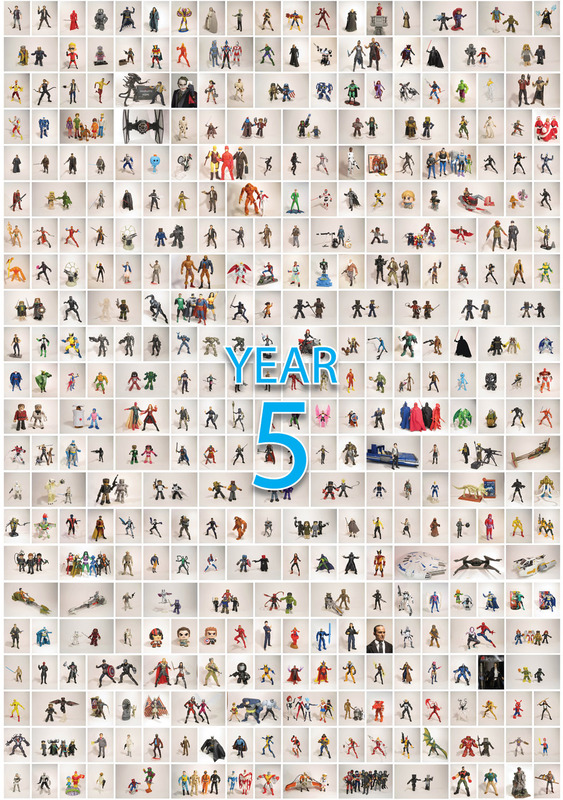 Over the course of the last 365 days, I’ve written 262,690 words about a total of 466 action figures, 6 vehicles, 1 playset, and 1 movie. That’s the most words I’ve written in a year, and also the least total subjects I’ve written about. I may need to learn brevity. This year, the site’s total views rose up past 150,000, and we gained an additional 18 followers, bringing us to a total of 125. Thanks for joining us, guys! There were 28 comments, excluding those made by me, your faithful reviewer. 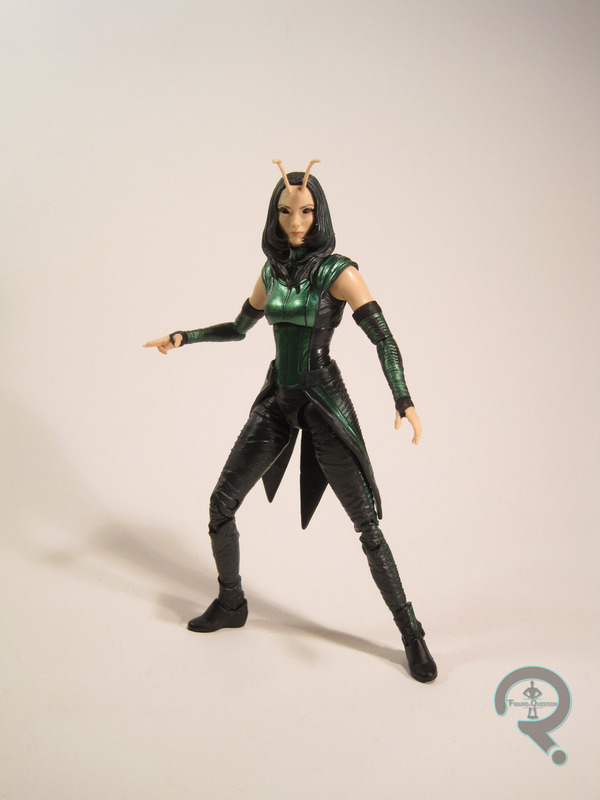 Looking at the contents of my reviews, my prevalently appearing line was Marvel Legends, which was the focus of 67 of my reviews. 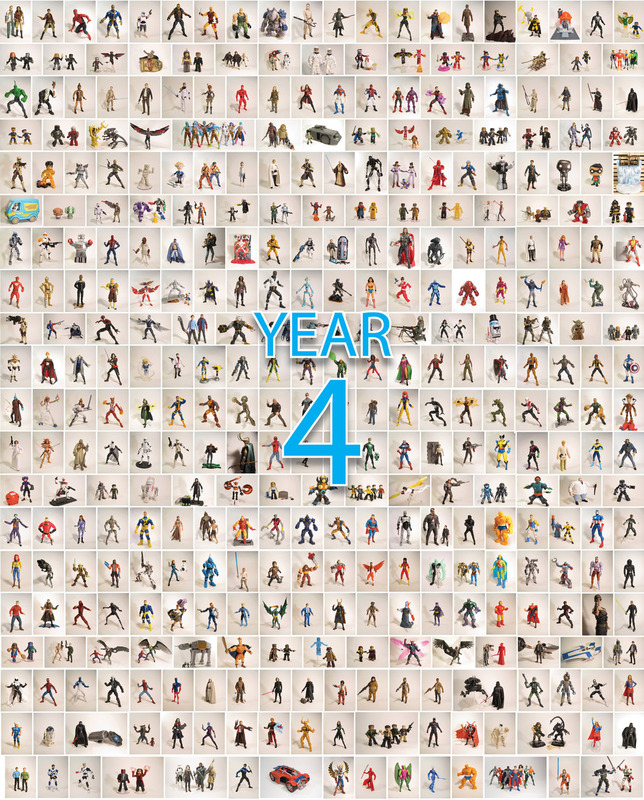 Coming in second was basic 3 3/4-inch Star Wars figures at 56 reviews, followed by old faithful Minimates at 40 reviews. 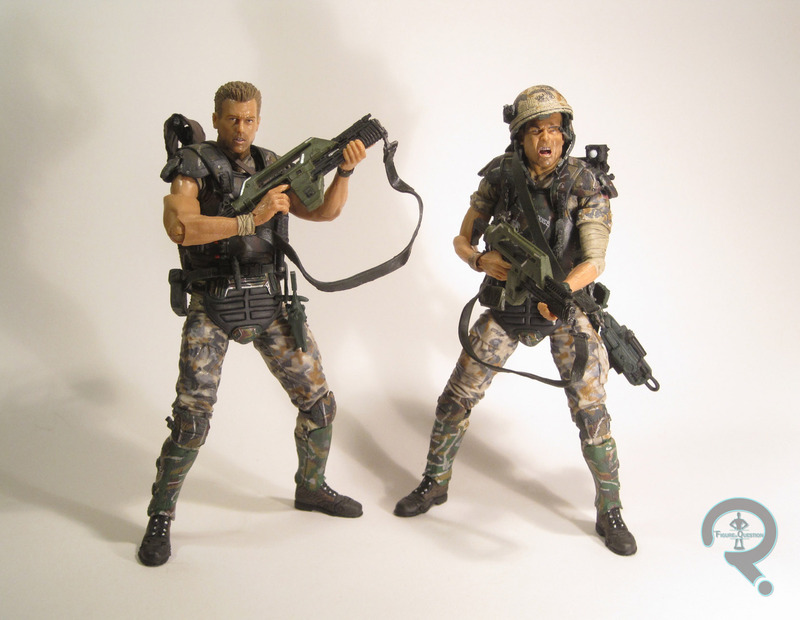 Hasbro was by far the company whose work I reviewed most frequently; they made the items reviewed in 132 of my posts. Despite going under a decade ago, Toy Biz still took the #2 spot, with 41 reviews, and Diamond Select Toys were just behind them at 40. 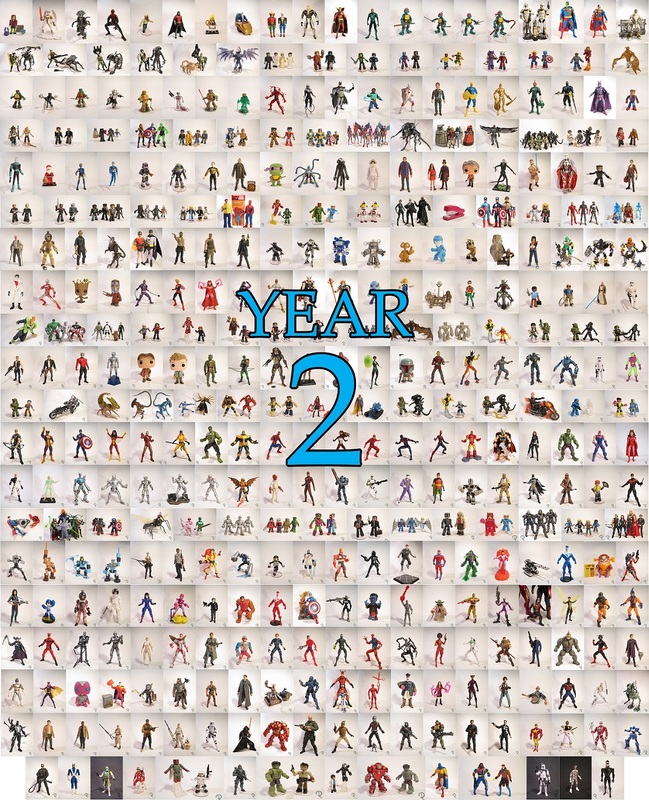 As of today, I have reviewed 47.4% of my collection, which surpassed 4000 unique figures this year. Stepping outside myself, the site had 10 guest reviews this year from 3 reviewers, adding a total of 7,250 words to the site. Thanks guys! Speaking of guest reviews, this year also saw the introduction of a new full-time feature, The Blaster in Question, written by my buddy Tim Marron. Tim’s been a guest contributor since very early on, and I’m very happy to have him on board in a larger capacity. Now you guys don’t have to exclusively read my droning on! I’d like to also take a moment to acknowledge some of my favorite review subjects from the past year. I found it a little difficult to pick out the standouts this year, not because of a lack of good stuff, but because of the high quality of so much of what I looked at this year. Here’s my top 5! Hasbro was really on a roll with Marvel Legends this year, and this whole assortment was one of my very favorites. I’m a huge fan of the character but never dreamed of seeing him as a Legend and I certainly didn’t expect his figure to be this awesome. I was really excited about The Black Series when it first launched, but that faded a bit, as releases started becoming harder to get and more middle of the road in quality. The initial release of this figure was both hard to find and of rather poor quality, which really bummed me out, given the importance of this look. 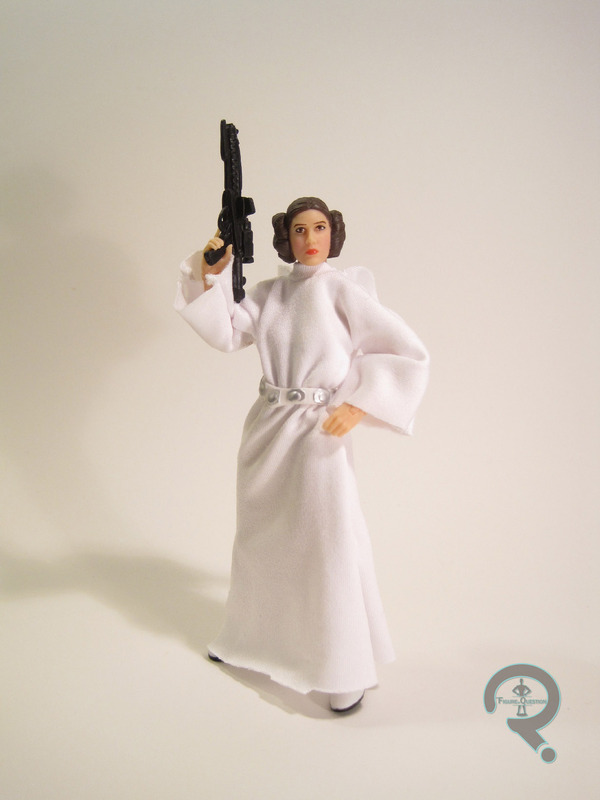 Fortunately, the 40th Anniversary release came along and fixed both of those things, giving me probably my favorite Leia figure to date! 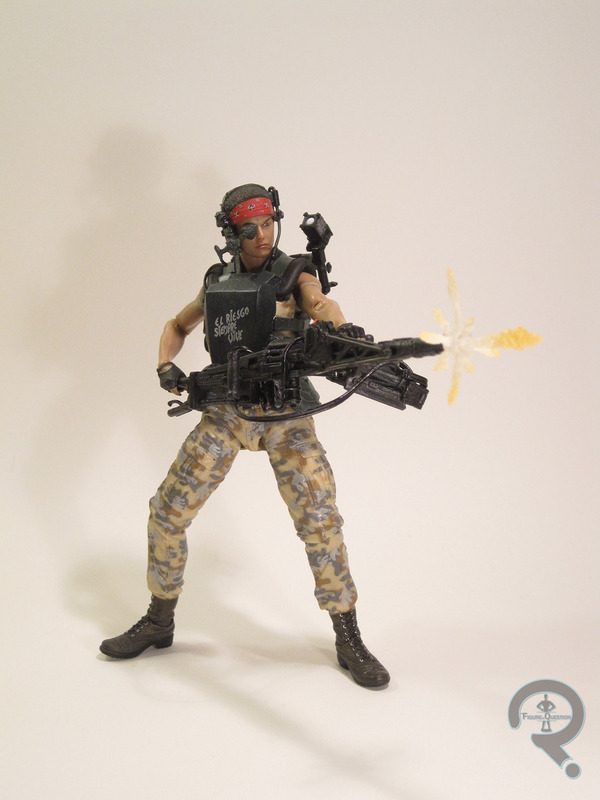 Mezco’s One:12 Collective has been making a pretty big splash in the last year. 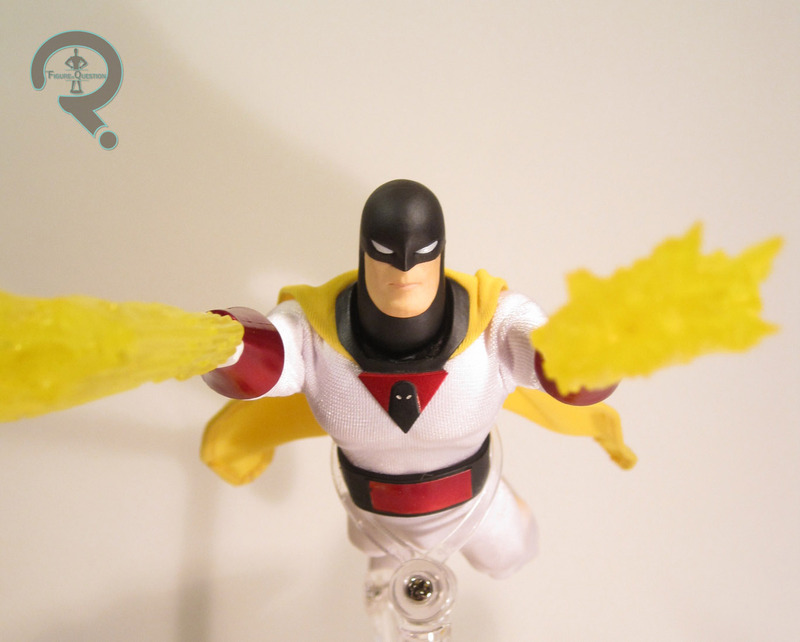 I was looking for a good entry, and there’s not one much better than Space Ghost. There was a very long wait for this figure, but the payoff was very definitely worth it. Oh man, speaking of long waits for figures. 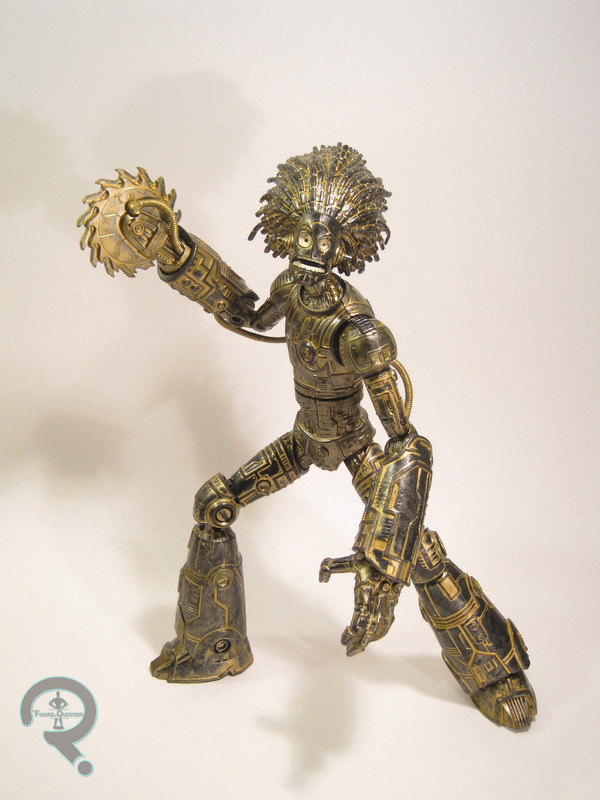 I backed this two years ago, while I was high on action figure Kickstarters. In the midst of everything going on, I almost completely forgot he even existed, so when he arrived it was a very welcome surprise. 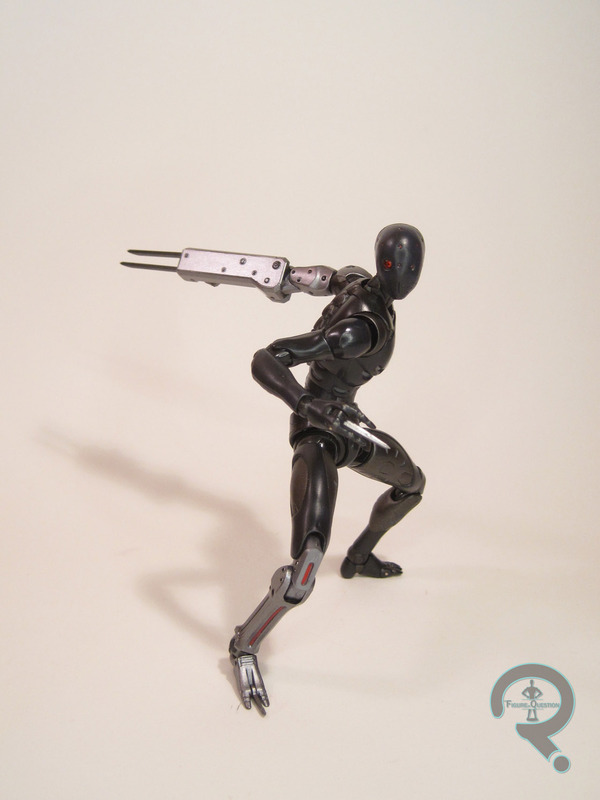 The Fwoosh succeeded in making a very fun figure here and I look forward to seeing more. Another Hasbro figure? Listen guys, if I hadn’t been careful, this whole list may very well have been Hasbro figures. They had a good year, and their Guardians Vol. 2 were some of their very best offerings. Mantis just happens to be my personal favorite, but Star-Lord, Gamora, and Rocket would be just as at home on this list. It just wouldn’t feel right to overlook I Am Elemental completely here. 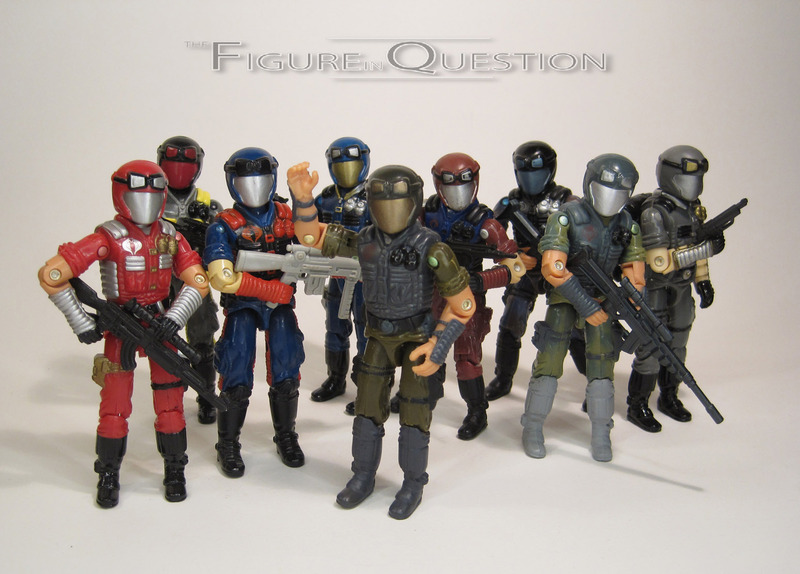 This group is still one of my favorite toy companies out there, and Wisdom Warriors continued their trend of awesomeness started by the Courage Series. 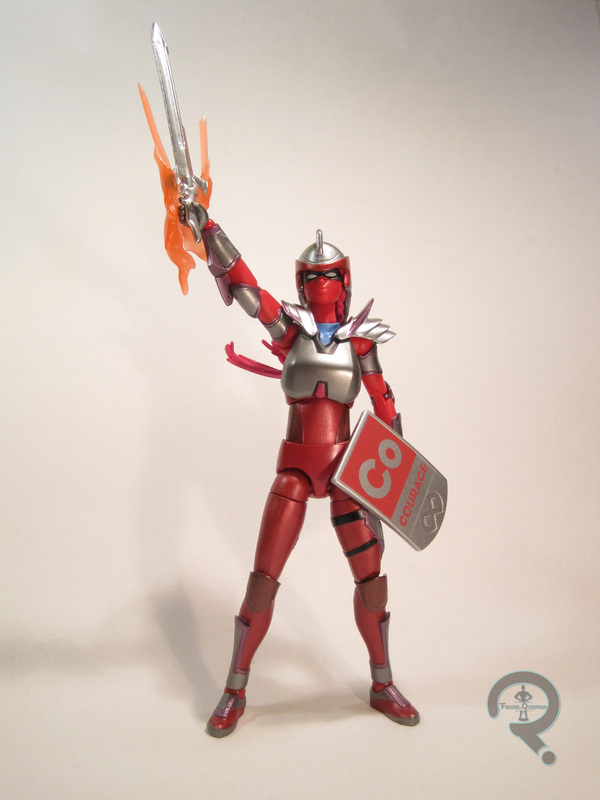 IAE is producing consistently fun toys and I look forward to their next release! Like IAE, it just doesn’t feel right to do up one of these lists without mentioning NECA. This set could have been an easy re-do, but NECA had to go and put their best foot forward and improve upon the originals in every way. Thanks again to all my faithful readers who have stuck by me through all my crazy ramblings, and thanks to all of those who have joined me along the way. I couldn’t do this without you guys! 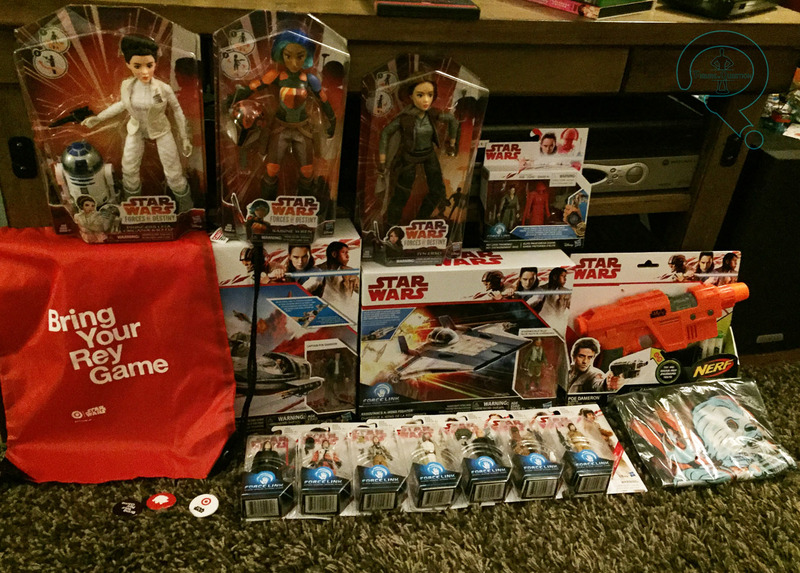 Last Friday was Force Friday II, the big product launch for all of the cool stuff coming out to tie-in with this December’s The Last Jedi. There were a number of midnight openings for various retail stores, with Toys R Us really leading the charge. This is my third attendance of such an event, and each time I’ve had a rather different experience. If I had written this right at midnight on Thursday, it would have been a rather angry, distraught, and disappointed screed about everything wrong with fandom. There’s still a piece of that in this writing, but it’s really just an involved set-up for the much better part of the story. Let me ‘splain. I arrived at my local Toys R Us at about 9:15, with both Tim and Super Awesome Girlfriend in tow. There were five people lined up outside the store. The first four looked to be long-term Star Wars fans; the sort of people you’d expect to see at an event like this. The fifth was an older woman with bleach-blonde, dressed in a pink t-shirt, spandex pants, and adidas flip-flops; she seemed out of place. She informed us that her purse next to her was saving a spot for her daughter; perhaps the daughter was the Star Wars fan and this woman was just being a supportive parent? Her first utterance of what would go on to be about a hundred 40 Year Old Virgin jokes aimed at the fans in attendance served as an indicator that the “supportive parent” guess was incorrect. By 10:00, another five people had joined this woman in front of us in line. They all wore the same basic attire, with the same hair, and, apparently, none of them were this woman’s daughter, who she was still saving a spot for. They were all happy to take a spot ahead of us in line, and more than happy to join in on the first woman’s bashing of everyone attending. The phrase “wouldn’t usually be caught dead at something like this” came up many times. Eventually, the daughter arrived, another entry in the bleach-blonde brigade. She too joined in on the mocking of the fans. Oh joy. With their whole cult in place, they began quizzing everyone what would be the hot items this year. It’s a pretty standard tactic for speculators who are looking for a quick buck; something most of the fans in attendance had dealt with before. We mostly responded with something along the lines of “well, I have a list.” When they received no satisfactory answer from direct questioning, they instead took to listening in on everyone’s conversations. Tim and I actually had quite a bit of fun with this, and began having a fake conversation about how important it was that we get a number of items that any fan would know are complete shelf-warmers. Despite this brief respite of fun, but 11:30, after two hours of listening to them insult my fellow fans and just be generally ugly people, I was about ready to call it quits and just head home. Fortunately, Tim and Jess were able to talk me down a bit, and we ended staying through. By the time the doors opened a little after midnight, each of the seven people in this group had grabbed their own shopping cart, and despite the very polite TRU employee’s instructions to enter single file, not shove, and not run, they proceeded to barrel through the doors in rows of two, using the carts to push others out of the way, while making a mad dash for the main aisle. When I got back to the aisle, the group had gone straight to work scooping the entire contents of shelves right into their carts. I almost gave up again, but then I took a closer look at exactly what was being scooped into their carts: Funko Pops. * They hadn’t found their way to the actual figures at all. I made my way through the chaos of the aisle, and managed to piece together a more or less complete set of the small-scale figures, along with the one vehicle I really wanted. No sign of any new Black Series figures, but I was content with what I had, so I made my way to the front of the store, on the way passing the cult of bleach-blonde speculators, who now had three shopping carts absolutely overflowing with merchandise. And then I started laughing to myself. The content sort of laugh that comes from seeing someone so ugly, so repulsive, and so reprehensible come face to face with karmic justice. You see, in addition to the cart overflowing with an entire rack of Pops, there were also two full carts of Black Series figures. Not the new, desirable ones; oh no. Two full carts of the Jyns and Cassians and Poes and Finns and Zuvios that have been rotting on the pegs for almost a year. The ones that Target was just clearing out for $3 a piece a week ago. And they paid full price for every single one. Best of luck unloading those, ladies. Now, if at this moment, you’re thinking this karmic justice is the “better part” of my story, let me stop you there. My joy doesn’t come from someone else’s misfortune, as just and satisfying as it may be. My joy comes from about 20 minutes later, after a good portion of the crowd from the TRU made their way over to the Target across the street. I don’t have anyway of getting a message to this person, but if I did I like to tell him this: sir, I don’t know your name, or anything about you beyond the one hobby we share in common, but last Friday, you were my hero. You salvaged my night from being utterly miserable, and you reminded me that there are still good people out there. Thank you for that. *No offense to anyone who collects Pops. I have been known to enjoy them myself, but in a week’s time, the Last Jedi Pops will be available from practically every retail store in the country. They may be popular, but they’re unlikely to be scarce anytime soon. 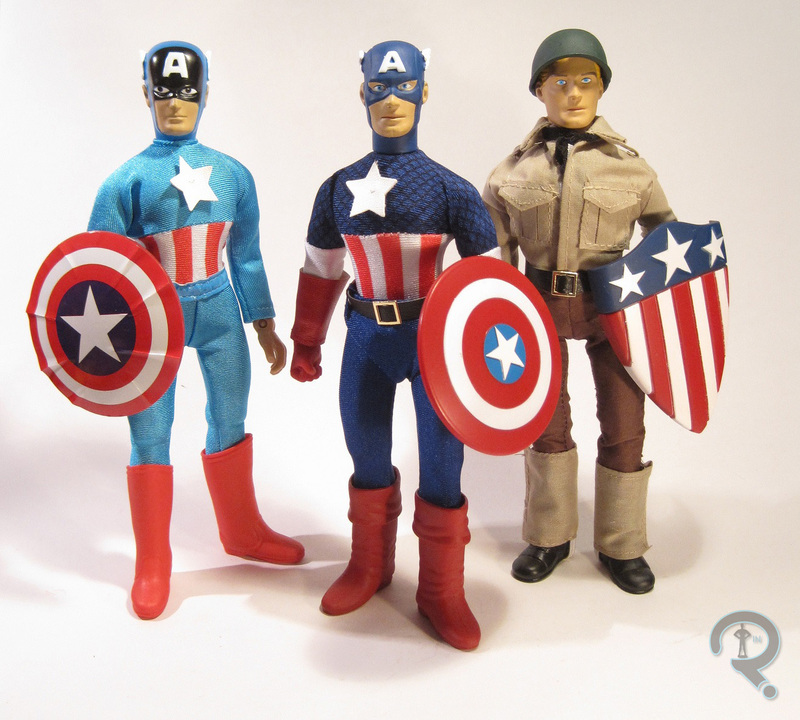 Since Hasbro relaunched Marvel Legends, I’ve been consistently displeased with the heads on their Steve Rogers figures. When the line was relaunched, all of the unmasked males suffered from what I call “Hasbro-Face”: they would have a deep scowl and incredibly squared-off features, and just generally look more like the titular character from The Goon than the superhero characters they were supposed to be replicating. As the line has progressed, the Hasbro-Face has slowly died out, with the exception of Steve Rogers. 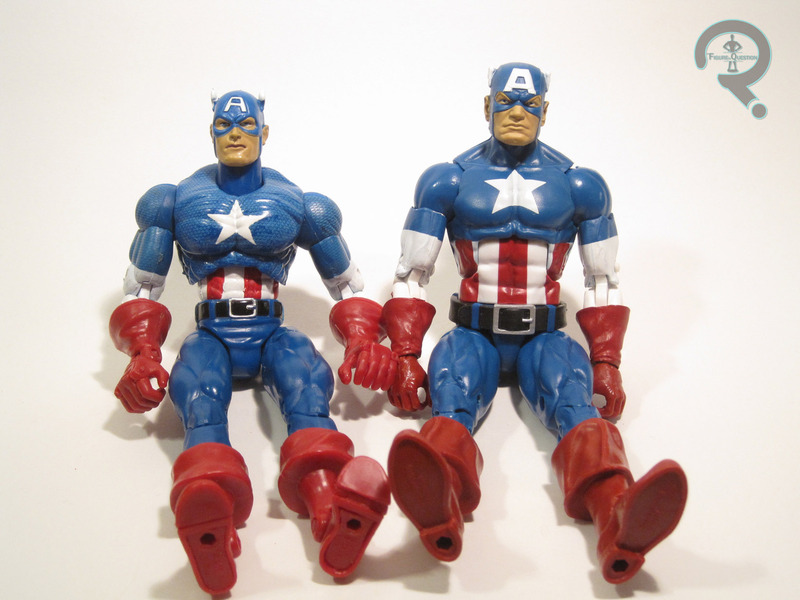 I guess Hasbro wants to keep all of the versions of him consistent, but it means I haven’t truly been happy with a Legends Captain America since Toy Biz. 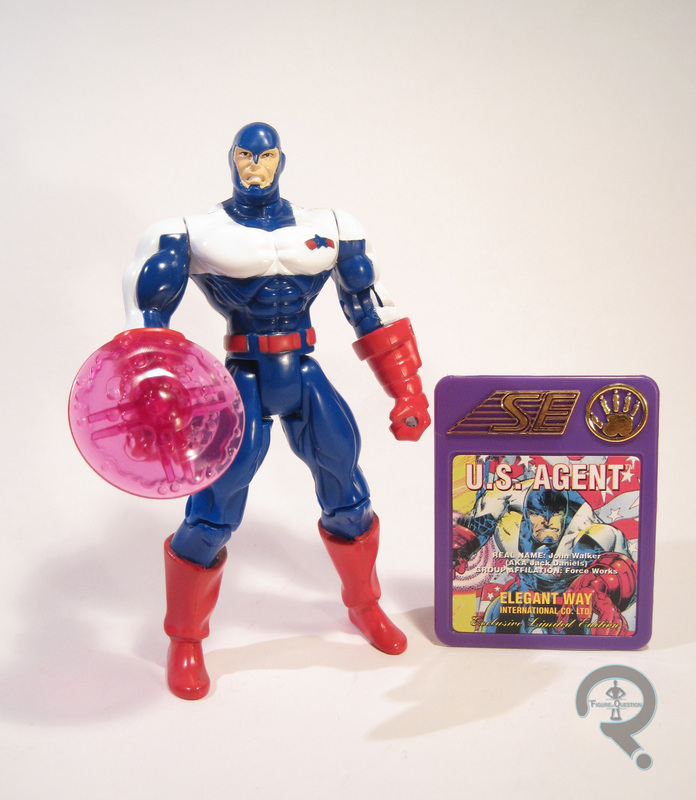 In today’s review of Captain America, I noted that a major contributing factor to my finally acquiring him was seeing an image online of a mod for the figure. This mod replaced the stock figure’s atrocious head with that of the very first ML Cap figure, which, in my opinion, is still the best Cap head ever. The biggest hoop in performing this mod is getting the first TB Cap. I have my old one, but I really didn’t want to put that one under the knife (or drill, as the case may be). Fortunately, I was able to find a loose one sans accessories for $5, which is really the main thing that sparked this whole project (ironically, I actually paid a dollar more for my “junk” Cap than I did my original). 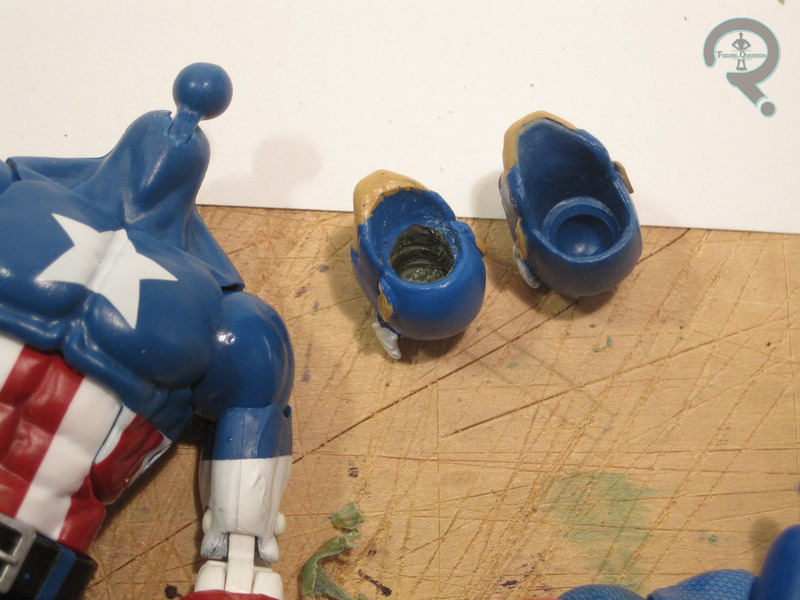 Perhaps the most difficult part of this whole project was just getting the TB Cap’s head off the body. 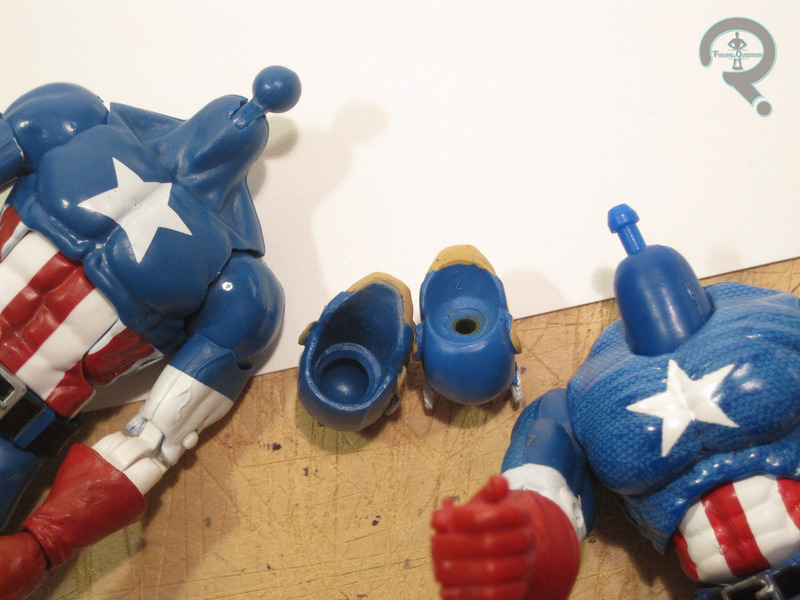 Toy Biz heads weren’t really designed for easy removal like their Hasbro brethren, so you’re pretty much going to have to use the boil-and-pop method, and even then, it took me a few rounds to finally get it popped off the joint. As you can clearly see from the photo, the socket on the TB Cap’s head is maybe an eighth the size of the åHasbro figure’s ball-joint. In order to get it to fit, it needed some significant plastic removal. The best tool for such a project is really a dremel; I didn’t have one handy, so I just made do with a basic power drill, starting with a drill bit just a little larger than the socket and slowly working my way to larger bits, until it was a good fit. I actually went the slightest bit too large on the socket, but that’s an easy fix. All you need is to put little bit of super glue in the socket, do a few turns while on the joint, and then take the head off and let it dry for a few minutes. This gives the socket a little more texture, which helps the head stay put on the joint. Throw in the shoulder harness from the Target 3-pack Cap to replace the wonky straps from the original figure, and I’m pretty happy with this figure. The head/body paint matches up surprisingly well (any differences are virtually invisible to the naked eye). The smaller head is scaled much better with the body, and it even makes the body look a little less chunky (I think the chunkiness I was seeing was actually an optical illusion). And, best of all, he cost me less than the retail of your average Legends release to put together. Now I have a Legends Captain America I can be proud of! 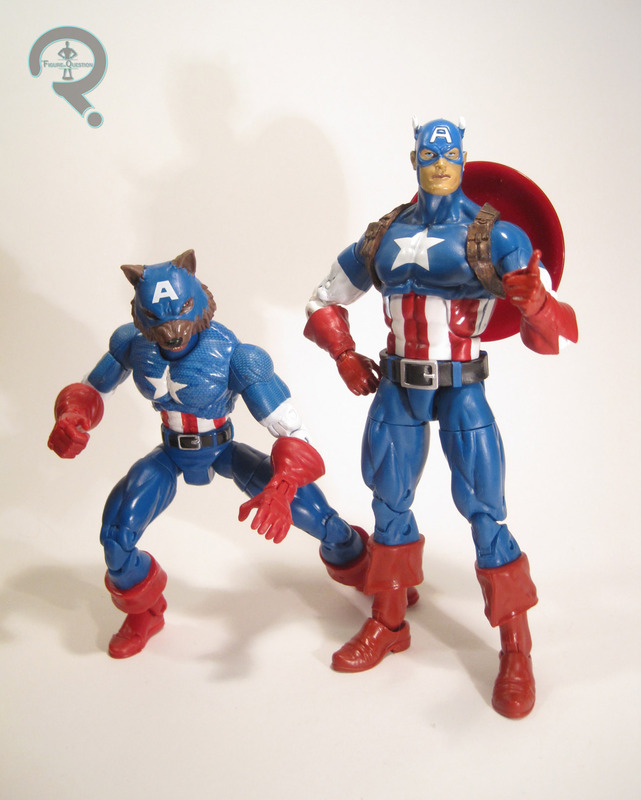 Added bonus: with the left over parts I can put together a pretty sweet Cap Wolf! My grandfather died this weekend. He would have been 95 come this October. He was a veteran of two wars, a teacher, and an engineer. He was one of the smartest people I’ll ever know. He was also one of the most stubborn, but that tends to come with the territory. Over the last few years, he had been suffering from Alzheimer’s, which has been slowly chipping away at him. It was difficult for the family, of course, but it was also difficult for him, as little by little, his ability to do things independently slipped from his grasp. Granddad was a do-er, you see. He liked to do everything himself. This included building the house he and my Grandmother were living in, which after 50 years, is finally being completed by his children and grandchildren. He moved at his own pace, which was often too slow for the rest of his family (a decade ago, his then thirty-year-old avocado green refrigerator stopped working. He refused to allow a replacement to be bought and spent the better part of a year fixing it, much to my Grandmother’s chagrin), but I think he got a certain degree of amusement out of that. He liked making people adhere to his plan, no matter how ridiculous or backwards it might seem. As stubborn and belligerent as he could be, he was also incredibly thoughtful when he put his mind to it. It was still always via his own idiosyncrasies, of course, but that was him. For about 20 years, he religiously recorded thousands of TV programs onto VHS (only on the main network channels, of course, since he was far too stubborn to ever get around to getting cable). At some point, I’m certain every family member got at least one tape from him, containing any number of shows he thought they’d be interested in. In my case, it was almost always full of cartoons, because that was my speed, but I also have a copy of the ‘90s tv-movie Generation X because some network was showing it late one night, and he knew I liked the X-Men. It was the little stuff. 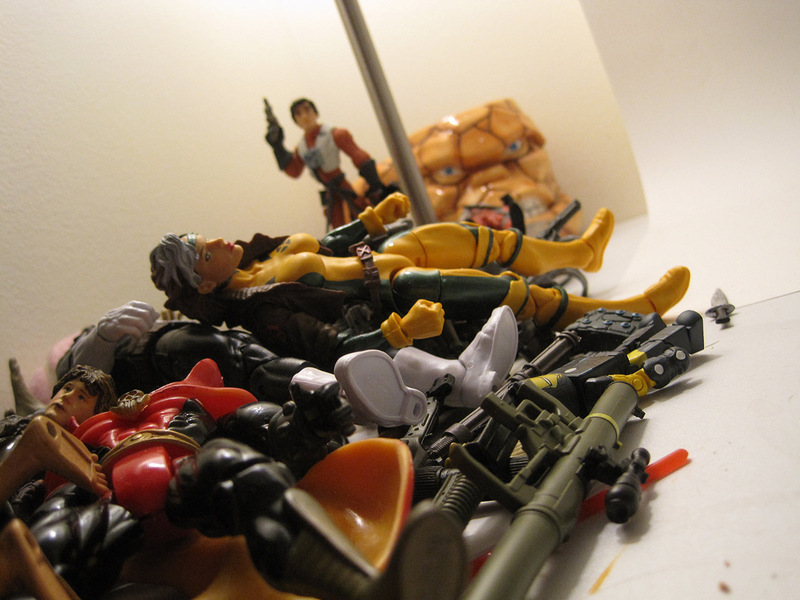 I know most of my life stories tend to revolve around action figures in some way. 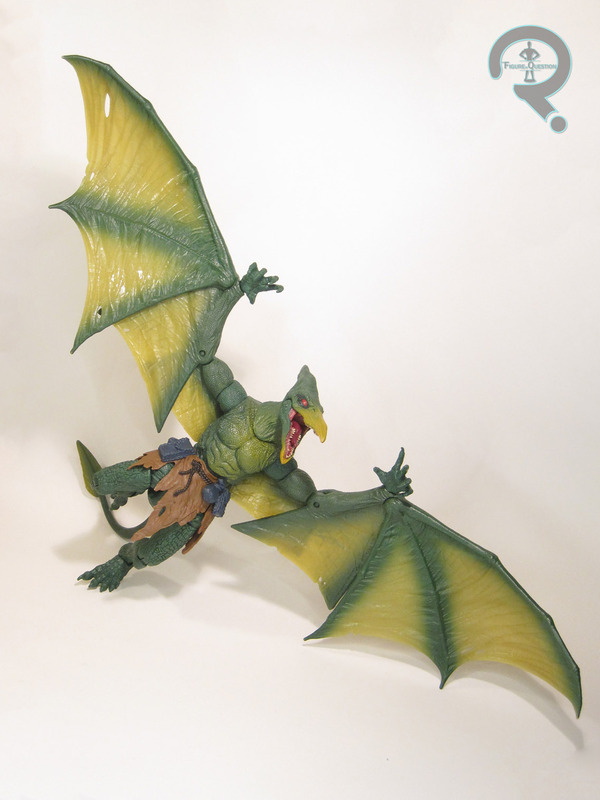 My Grandmother tended to be the one who followed all of my action figure stuff, but Granddad wasn’t completely out of the loop (although I do recall one time getting frustrated with him for mistaking Dragon Man’s wings for a Batman cape. In my defense, I was about 7 at the time.) One story in particular has always stuck out to me. When I was about four, I’d often spend the day at my grandparents’ house. My dad pulled out his old Megos for me to play with. One day, while playing with them, poor Superman’s internal band snapped, and he fell all to pieces. I was quite distraught, but Granddad stepped in an assured me it would be alright. He sat me down at the dining room table and, being the engineer that he was, he drew up several diagrams of just how we were going to fix that figure. While it was my dad that ultimately fixed the figure (like I said, Granddad moved at his own pace), it’s something that’s always stuck out to me. That was his defining moment in my life. Not because it was about a toy, but because he took the time to not only make me feel better, but also to give me the knowledge of how to solve the problem on my own. And that meant a lot. Thank you for everything, Granddad. I love you, and I will miss you very much. So, in my third year reviewing figures here at The FiQ, I wrote 250,177 words about 493 figures, 8 vehicles, 3 playsets, and one movie. The amount of figures reviewed is down from last year, but total items reviewed is actually the same. I’m actually down about 4,000 words from where I was last year. Whether that’s good or bad is totally up to you. This year brought my total views on the site up to 101,313, and I gained an additional 21 followers, which brings my total number up to 105! In addition, there were 48 comments this year, excluding those made by yours truly. Looking at the contributions of others, this year also saw four guest reviews from four different reviewers (one whom was a new addition this year) and totaling 2,069 words. Thanks guys! As I did last year, I’d like to take a moment to acknowledge my top 5 reviewing experiences of the last year. Not gonna lie, it was much harder to narrow it down to just 5 this time around. Some very good figures got left off this list. This is the Superman figure I’ve wanted pretty much since I started collecting action figures. 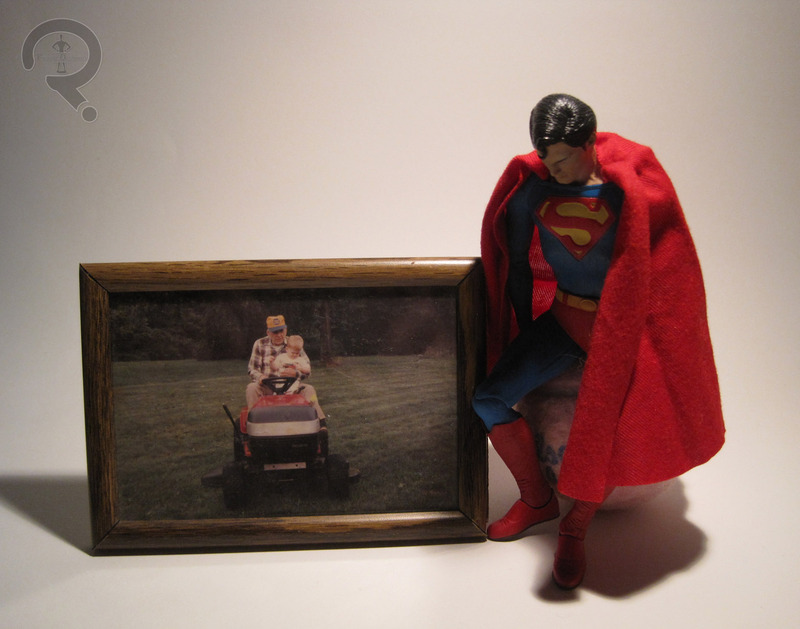 I love Christopher Reeve’s Superman, and I’ve been waiting for a solid action figure of him. The larger figures were fine, but not really what I wanted, and Mattel’s smaller figure held me over, but had a whole host of flaws that prevented it from being all it could be. 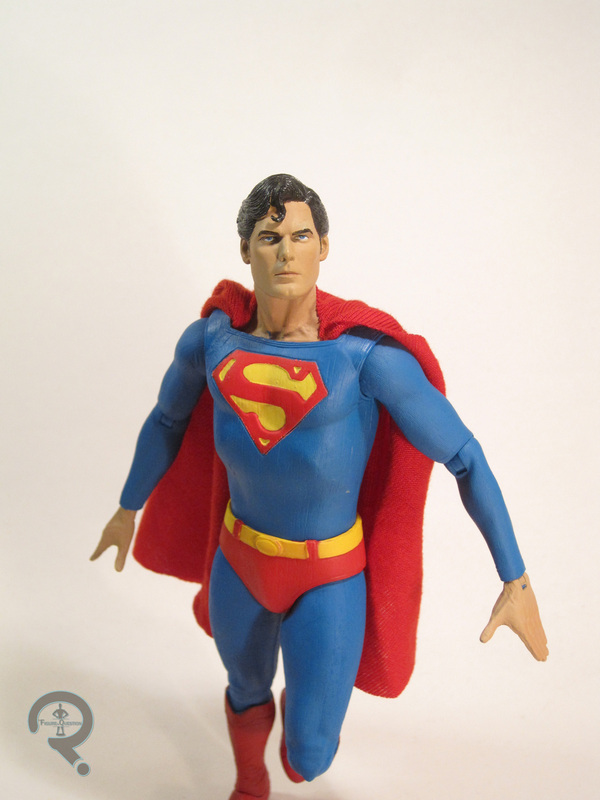 NECA’s figure was not only a licensing miracle and the best version of Reeve’s Superman, but also one of the best Superman figures I’ve ever owned. I Am Elemental were on this list last year, and were hands down one of my favorite reviewing experiences of Year 2. Their sophomore effort, Courage, took everything cool about their initial figures and made it cooler. This figure has all the quality of a high-end import figure, but at a much lower price, and it’s just an awesome figure to boot. Civil War was one of this year’s highlights, and Black Panther darn near stole the whole show. 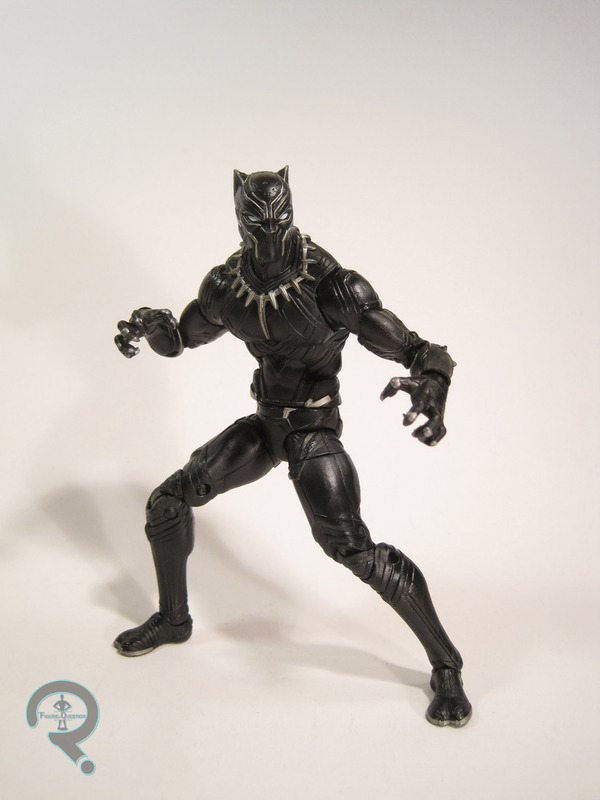 For the Legends tie-in set for the line, Hasbro turned out a Panther figure that is quite possibly their greatest figure they’ve produced since taking over the Marvel license. This figure sort of came out of left field, being from a different venue than my usual action figure interests. 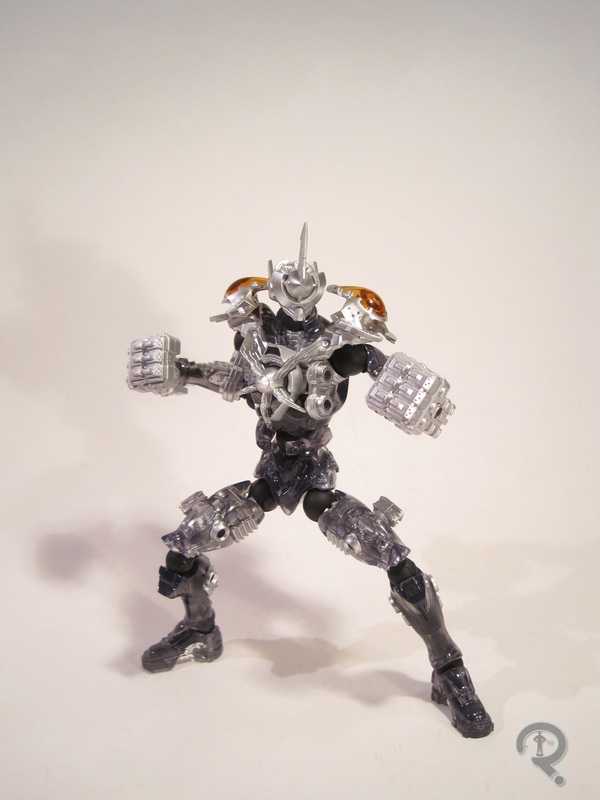 Bandai’s S.H. 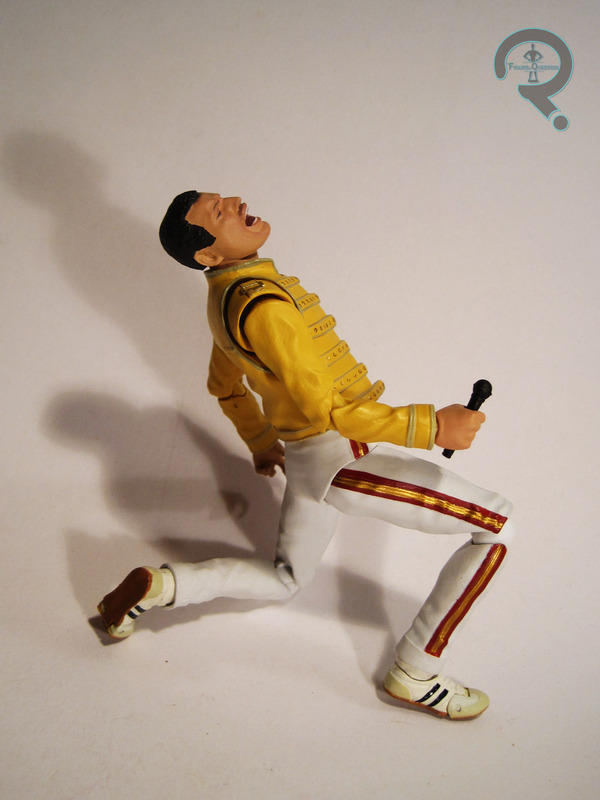 Figuarts stuff had impressed me in the past, but Freddie was definitely an outside the box choice, and they put a lot of effort into making this figure just as cool as possible. Here’s a figure that just barely squeaked her way onto this list, coming at the very tail-end of Year 3. Holy crap is this a well-done figure. The likeness, the detail, the playability. It’s all there and it’s all awesome. A great showing by NECA for Aliens’ 30th Anniversary. This is a figure I’ve wanted for 20 years, ever since I saw his prototype on the cardbacks of the old Iron Man figures. It was very exciting to find one of these, even if he came into existence through somewhat dubious circumstances. There are few toys I’ve gotten in the last year that brought me more joy than Poe’s X-Wing from Hasbro’s Force Awakens line. 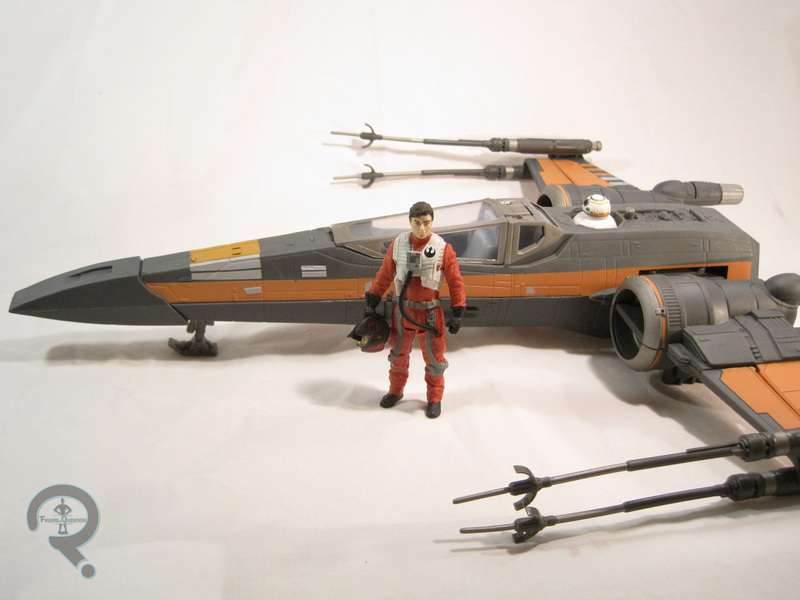 It was by no means a perfect product, but it set me back to my childhood days of playing with my POTF2 X-Wing. I loved it so much, I even bought the Walmart-exclusive repaint later down the line. (Honestly, this mention could really go to the whole small-scale Force Awakens/Rogue One product set. Something about them just made me feel like a kid again when collecting them). Well, thanks again to all my faithful reader who have stuck with me through all of my crazy action figure rantings, and welcome to any new readers I’ve picked up along the way. Here’s to another great year! Okay, after a whopping four months being out of date, the Review indexes have all been updated. I will try not to let them get so out of date in the future, because it just means extra work for me in the end. As I’ve touched on in a few of my reviews, I recently had a rather big move. I wasn’t able to bring my whole collection with me, but I can still see them for visitation on special occasions and holidays. Hopefully full custody will follow. Nevertheless, I’ve got more than enough figures to review where I am now, so there shouldn’t be any direct effects on my output here. Lastly, in prep for my move, I was digging through some old boxes and discovered not only a large quantity of previously missing figures (who will be slowly finding their way to the site), but I also found a rather hefty supply of accessories to figures I already had, including some that have already been reviewed here. Because I still want all my reviews to be as complete as possible, I’ll be rolling out some addendums to older reviews to touch on the accessories and perhaps on how some of my opinions have changed since the time of the review. 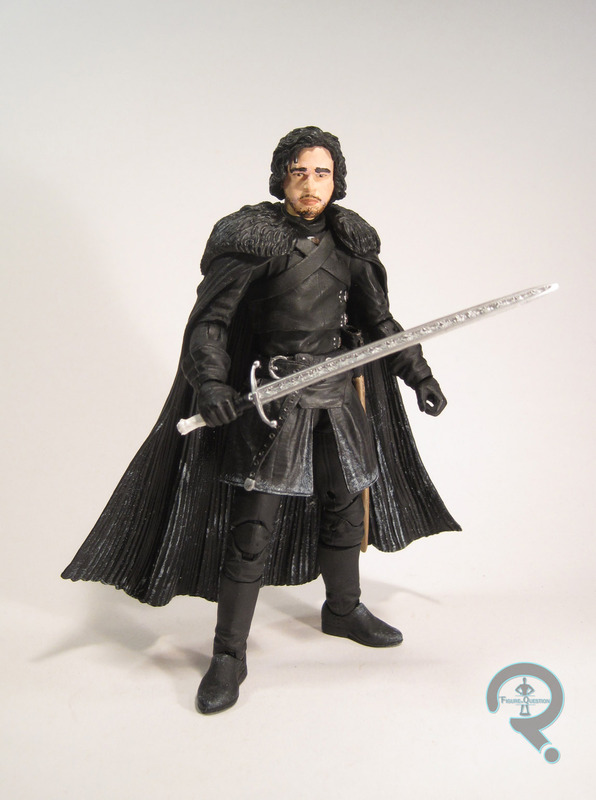 In my review of the Jon Snow Legacy Collection figure, I touched on how much of an effect a bad paint job can have on a figure. My initial opinion of Jon was rather low, given his almost complete lack of resemblance to Kitt Harrington (Tim and Jill pointed out that he actually looked a fair bit like Alan Rickman as the Sheriff of Nottingham, an assertion I agree with). While writing the review for the figure, I noticed that the paint on the eyebrows and beard didn’t at all follow what was sculpted, so I did a quick photoshop just to see what the figure was supposed to look like. And that made me realize that the figure could be better than the final product ended up. As I showed with my Aliens customs post, I used to do a fair bit of customizing (though, I’ve sadly gotten away from it in recent years). So, I dusted off my old paints and set my sites on improving this guy. A quick skin tone touch-up and some new eyebrows later, I can’t help but feel that this guy is, like, *a lot* better. The whole shape of his face is different, the likeness is better, and his proportions even look a bit less out of whack. He’s not a perfect figure, but he’s certainly much improved from where he started. Imagine what someone with more talent than mine could do! Well, it’s been another year. How about that? In my second year of reviews here at The FiQ, I wrote a whopping 254,420 words about 499 unique figures, 3 vehicles, a movie, and one very lovely pink stapler. The overall number of figures reviewed has dropped from last year’s 528, but the word count took a pretty substantial jump. Guess I’ve gotten a little bit wordier. This year brought the site’s total views up past 50,000 (more than doubling those from last year) and got the site another 31 followers (for a total of 84). We also had another 53 comments, excluding the ones made by myself. Looking at the contents of individual reviews, Minimates are still the most prevalent line, though they’ve fallen from 82 reviews to 74 reviews. Not a huge fall, but it’s there. 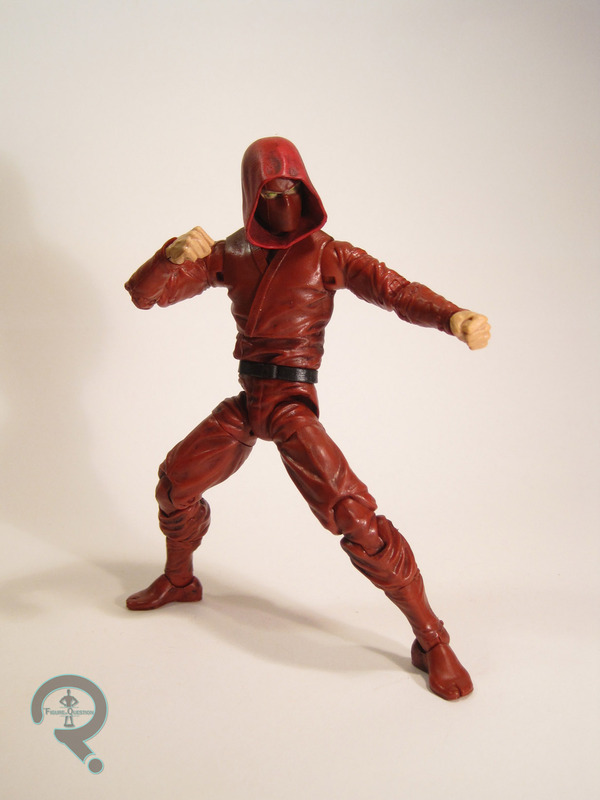 Marvel Legends are steadily becoming a contender, however, making up 54 of this year’s reviews. As of today, I have reviewed 32.1% of my collection. My collection has gone up another 400 from where it was last year, surpassing 3000 unique figures. Going away from myself for just a moment, this year the site had a total of 19 guest reviews. They came from four different reviewers (two of whom were new additions this year) and amounted to another 10,782 words on the site. Thanks guys! 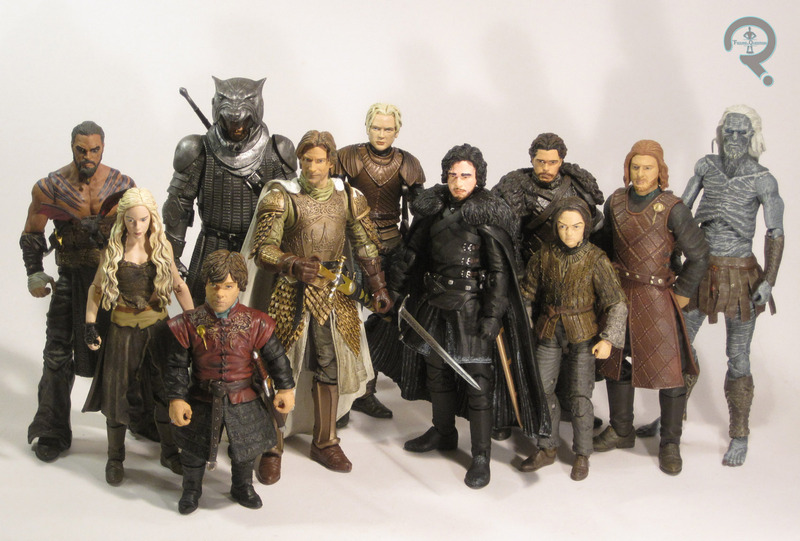 These are the figures that finally broke me into the whole Kickstarter thing. They’re a pretty cool idea and the end result was quite a bit of fun. Add in how wonderfully interactive their creators have been with the toy community (including sending me a very nice thank you email after I reviewed my set) and you’ve got what was probably my most pleasant reviewing experience of the year. This one was a big want, and I loved how she turned out. NECA really pulled out all the stops on the Queen, making her the proper center piece of the line. I loved her so much that I am seriously considering buying the red repaint later this year. Wow, this guy sure came out of nowhere. Tim stumbled upon this line, and I absolutely loved every figure I got out of it. However, Nexus, with his near infinite interchangeability, took the cake. 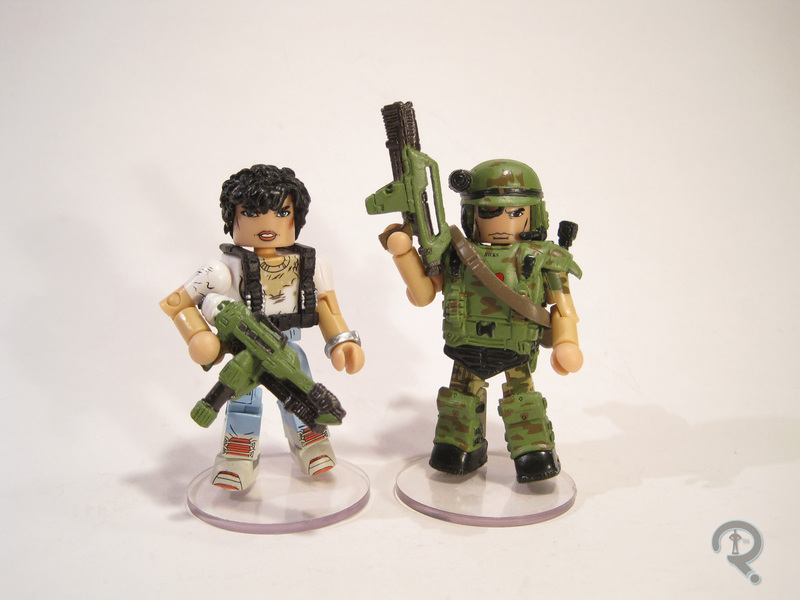 Moving off of #0438, Aliens is my favorite movie, and Minimates are my favorite toy line. Putting the two together is just heaven to me. Plus, DST knocked it out of the park with this pair, making them easily my favorite ‘mates of the last year. Yeah, Aliens dominated this list a bit. Sorry guys, it was a big year for Aliens stuff. 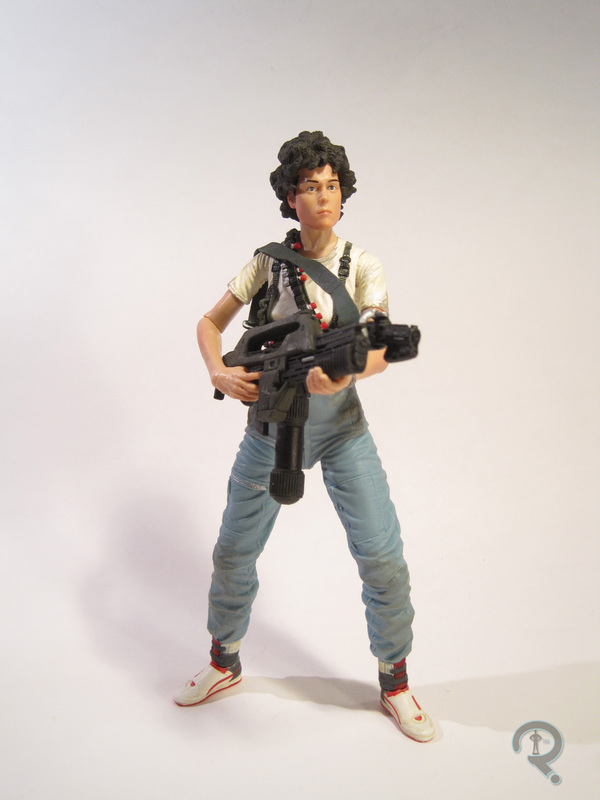 This is the figure I’ve wanted since NECA kicked off their Aliens line, and they really put the effort in on this one. 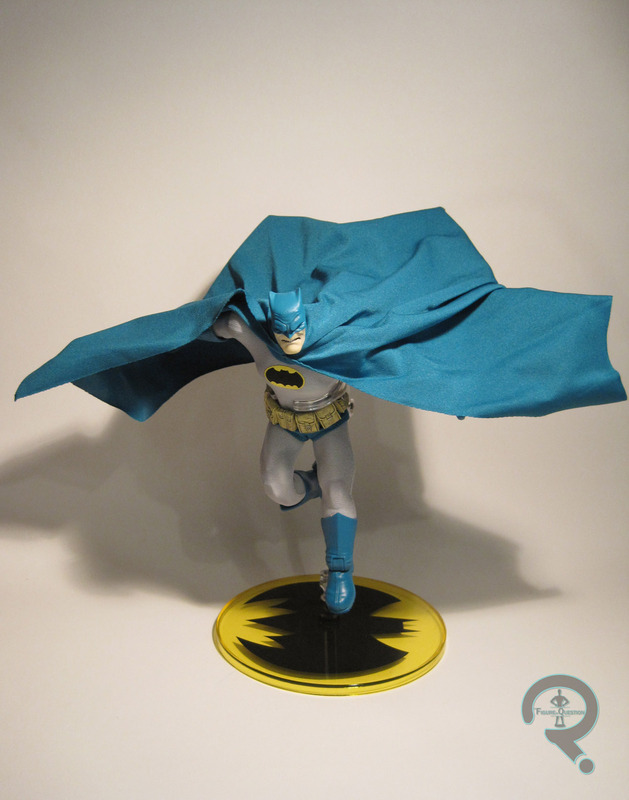 DC Collectibles’ foray into the animated universe was not perfect by any stretch of the imagination, but the nostalgic side of me loved having a figure that lived up to the cartoon that spawned this line. This figure has to be one of the few times that writing a review has had such a profound effect on my enjoyment of a figure. I was initially disappointed by this set, but by the end of my review that was no longer the case. Thanks once again to all of my faithful readers who have stuck with me all of my crazy rambling!